Are you looking to inject a rustic feel into your living room, or are you eager to embrace the industrial trend in your kitchen? If so, you may be thinking about creating a brick cladding feature wall. Often, it’s assumed that altering the aesthetic of your home requires a lot of time, money, and effort, but this is actually a relatively simple job, which offers incredible results. If you’re interested in brick cladding, hopefully, this guide will come in handy. The first job to tick off your list when creating a brick effect wall is choosing the location. Which wall do you want to make a statement when you walk into the room? Usually, the best option is to go for the area of the room that your eye is drawn to first when you walk through the door, but this may not always be the case. It’s best to avoid walls that have windows and doors, but almost any other space is a viable option for this versatile and eye-catching feature. 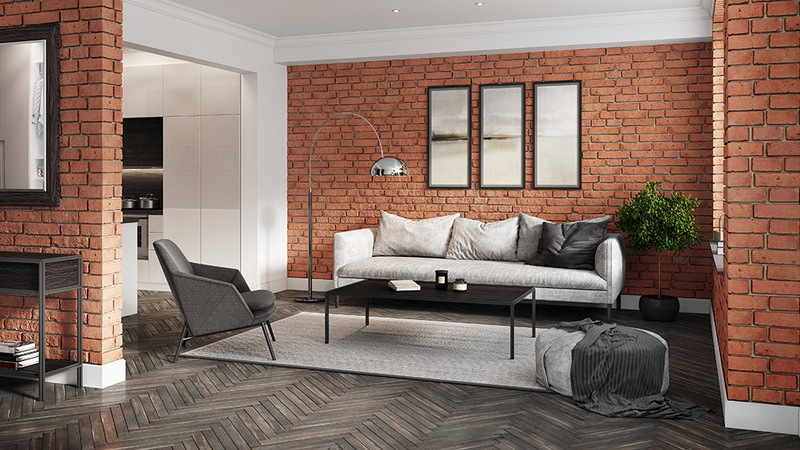 Once you know which wall you want to revamp, you can turn your attention to finding the perfect brick slips for your home. Most people conjure up images of terracotta and red hues when they think about bricks, but brick is actually an incredibly versatile material, which comes in a range of different styles and shades. You can choose from traditional golden, red, and orange tones or opt for minimalist options like white, grey or beige. Consider the vibe of the room, the colourway, and the overall aesthetic you’re hoping to achieve once the room is complete. If you’re unsure which kind of bricks to choose, the best thing to do is order some samples, and see which effect you like the best. 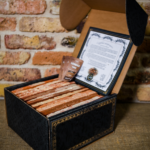 When you know exactly what you want, you can measure the area and place your order. It’s always advisable to order a few more brick slips than you need than to underestimate the size of the space and run out before you complete the project. The most important consideration when you’re installing your feature wall is producing a natural looking finish. You want that part of the room to look like it has always been there. Take care when positioning the brick slips, and use specially designed corner slips if you have a wall that would naturally show the corner. This is a far superior option to setting two brick slips against each other at a 90-degree angle and will help to ensure that authentic, flawless aesthetic. Brick cladding feature walls have become incredibly popular, and they suit a wide range of interiors. From trendy loft-style apartments to rustic country cottages, this is a design feature that can really make a statement. 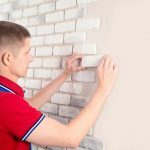 If you’re keen to create a brick effect wall in your home, and you need advice or tips, hopefully, this guide has set you on the right track. 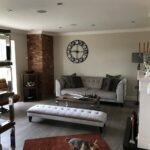 This entry was posted in Interior design trends, News and tagged brick cladding, Brick Slips, brick tiles, Brick walls, loft brick.